C: QSI683 withAstrodon 3nm Ha filters. ​Totalling 52 hours and 30 minutes in exposure time. 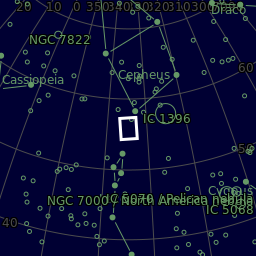 Sharpless 2-132 is a very faint emission type nebula on the Cepheus/Lacerta border. It lies at a degree southeast of Epsilon Cep, and has a size of about 40 arc minutes. 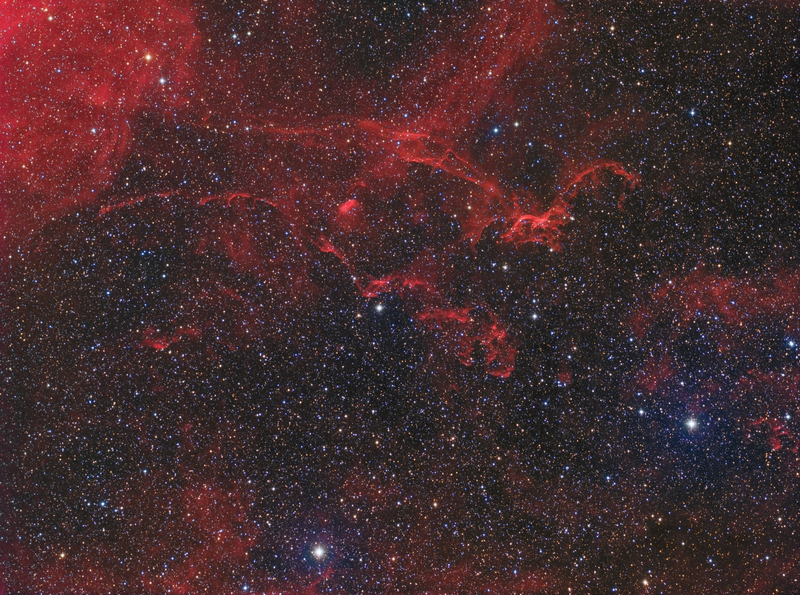 It is estimated to be about 10,000 to 12,000 light years away... but this is no more than an estimate. It's a well studied region as well, with lots going on as you can see in the annotated image. 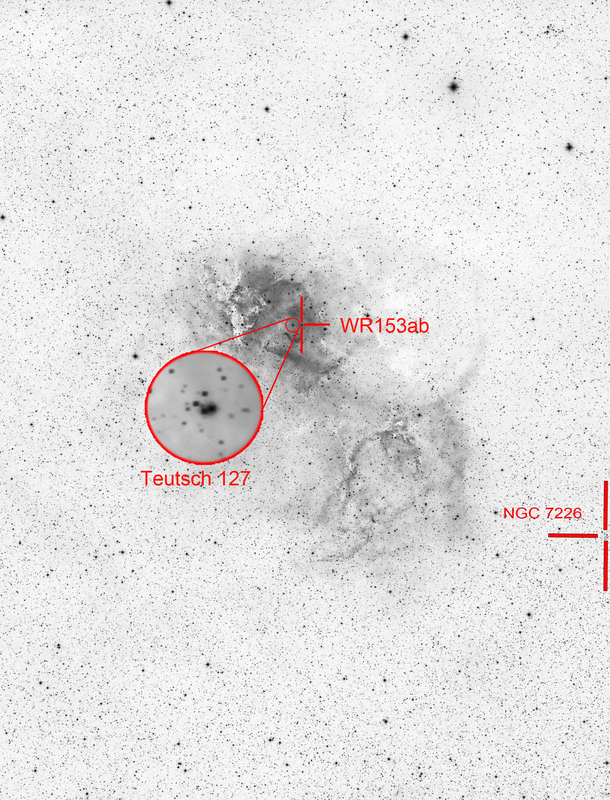 There's information about the planetary nebula G101.5-00.6, the open Galactic custer called Teutsch 127 as well as the Wolf-Raynet star 153ab. 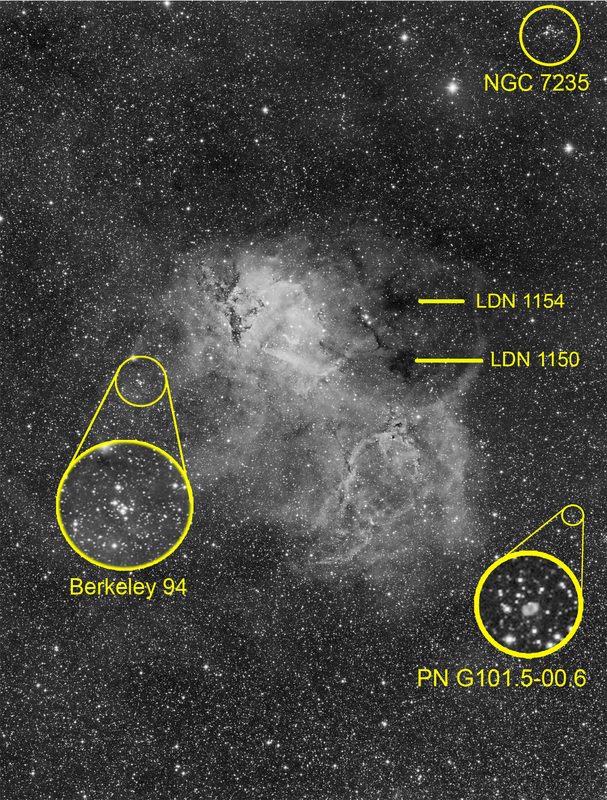 There are many other objects that are around this area in the image including NGC 7235, NGC7226, PGC 68597, LBN 471 & 473, Berkeley 94 and LDN 1156 & 1161.